There's always a balance between protection and style when it comes to your electronic peripherals. There are numerous cases on the market now to shield just about anything. From iPods to your camera, there's something for everyone. The only downside to it is that it's bulky and down right ugly sometimes. To combat this, there are now rubber or hard cases you can buy, but they still create unnecessary bulk when we're all trying to emphasize portability. 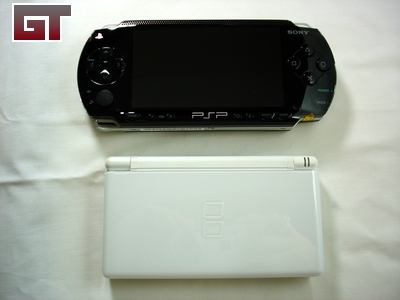 I was scratching my head recently when I was using my Nintendo DS Lite and Sony PSP. They're both very portable (DS more so than the PSP), but I wanted something to protect them. Luckily, Brian from GelaSkins.com shot me an email asking if I'd be interested in looking at their GelaSkins for the DS and PSP. From the first email, I thought this was just another rubber/clear skin that they sell just about everywhere. Little did I know, my DS and PSP were in for a visual treat. So who and what exactly are GelaSkins? 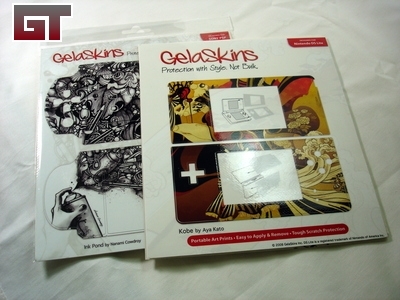 They are based out of Canada (Toronto) and they manufacture artist designed skins for a slew of portable electronics. They're skins are printed on 3M vinyl with special adhesive that minimizes bubbling that you usually get with plain skins you get elsewhere. Aside from protecting your goods, they're also gorgeous to look at. The packaging is pretty straightfoward. You get one or two sheets depending on your application. 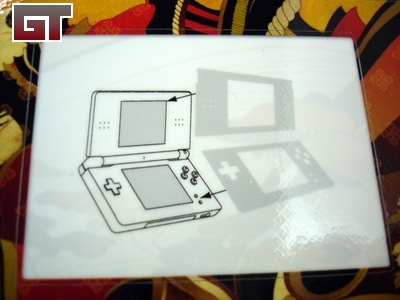 The DS has two sheets since it's a clamshell design and requires a bit more real estate to cover. 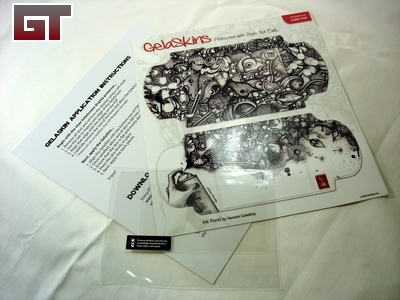 The PSP package comes with a screen protector called the GelaScreen. A nice extra in case you don't have one already. 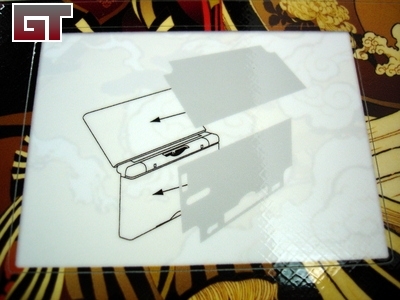 The DS package has the instructions printed right on the sheets. It's pretty straight forward and easy to follow.